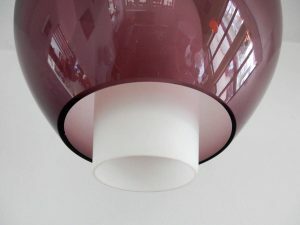 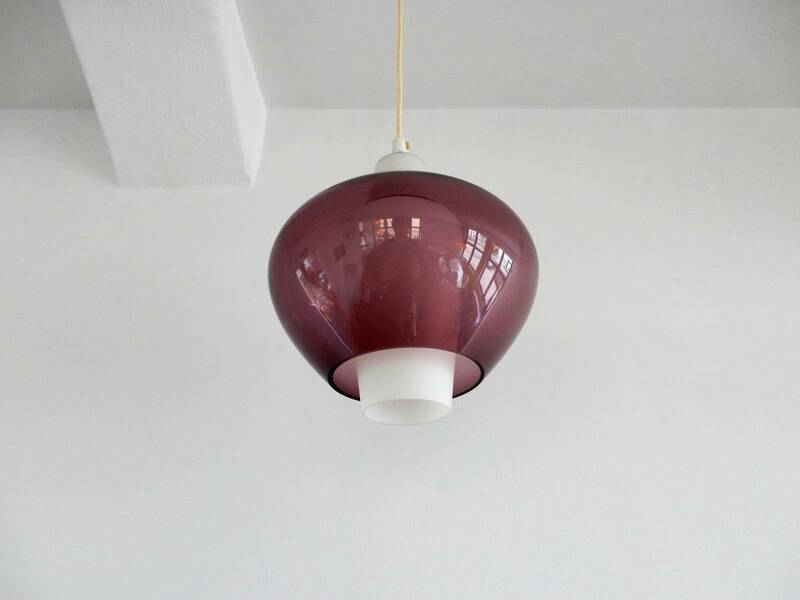 This NG68 E/01 pendant lamp made of white satin glass and violet coloured glass is produced by Philips. It is in a good condition with a few small cutting chips in the purple glass balloon and 1 chip to the bottom edge of the white glass. 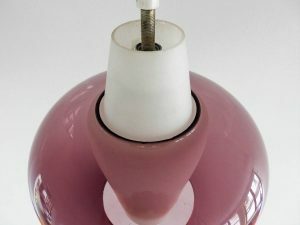 The fitting has been replaced. Documented in the Philips catalogue of August 1962, page 82. 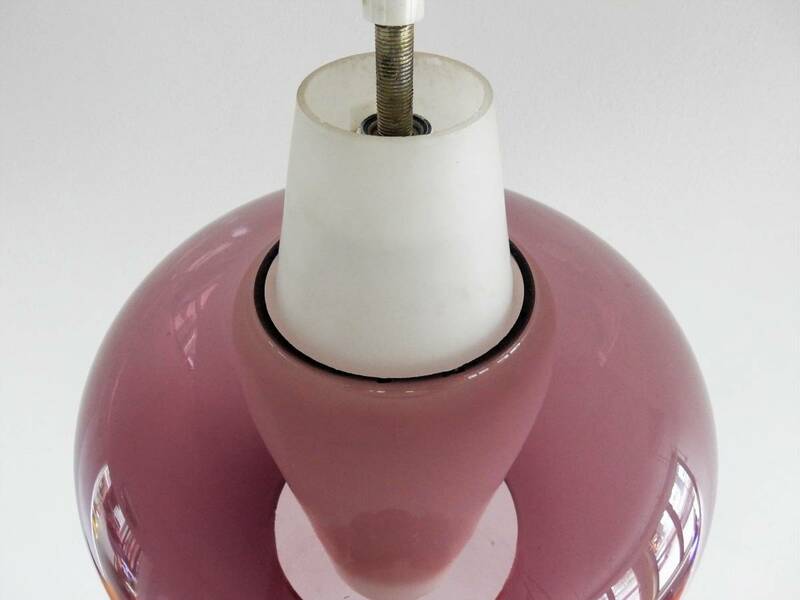 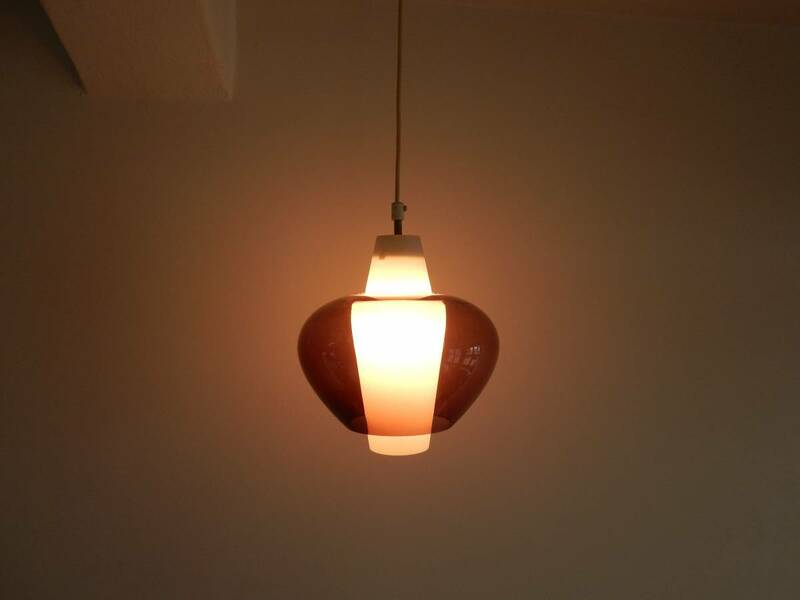 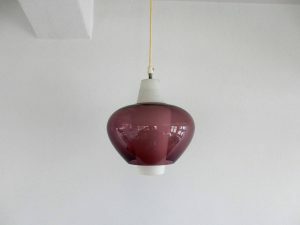 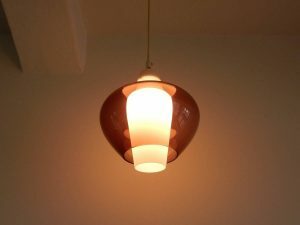 A more rare item by Philips and clearly inspired in Finnish glass lighting designs.